This happens. Not a big deal as long as you don't get W2 for the said employer. Email HR and find out a legal way to pay back. Prefer a personal or cashier's cheques over electronic transfers. Consider Jan 16 to be on the safe side. USCIS has the sole discretion in deciding this duration hence, consider 60- day grace period as a privilege and not the "right". 1. USCIS must receive a new H1-B petition and issue the notice number within 60 days. Period! You can join the new employer only after that. 2. Most likely it will be an extension of stay (if filed within 60 days). It will be counselor processing after that contingent upon you are not accruing unlawful presence. 60 days grace period applies to you. Count the dates from the last day of actual work. USCIS must receive a new petition within 60 days. Prefer not to stay in the US beyond 60th day. Quote#1: "The proposed rule also limits the filing of H-1B cap-subject petitions to the beneficiary named on the original selected registration, which would protect the integrity of this registration system". Quote#2: "........require petitioners seeking to file H-1B cap-subject petitions to first electronically register with U.S. 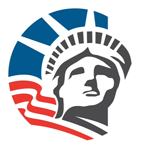 Citizenship and Immigration Services (USCIS) during a designated registration period." Considering these facts, a single employer CANNOT file 2 petitions for the same beneficiary. Does that mean 2 different employers can file a petition for the same beneficiary? I think it is quite possible. A PhD fellow with a brilliant acumen would certainly attract different employers to work for them. Why that beneficiary would restrain to only 1 employer? Open to discuss. In order to exempt from H1-B cap a beneficiary has to work under H1-B and must draw at least 1 paycheck. If you never worked under H1-B status, your H1-B never kicked in irrespective of H1 stamped or not on passport. Facts: 1. You MUST get a copy of receipt notice and LCA from the employer before you start working. 2. Working on FedEx receipt does not hold any ground. 3. 10,000$ repayment is contingent upon successful H1-B filing and hiring of an employee. I assume I-9 form is still pending indicating employment authorization never took place and the employer is non compliant with IRCA. If this goes to the court, the employer's case does not hold any ground. Find a better and sane employer who is compliant with labor and immigration laws. Although you have had approved petition, your H1-B status never kicked in. In order to activate H1-B status, an applicant must have a paycheck drawn for authorized work. You are NOT exempted from the cap. Assuming you did not work with the employer and did not draw any paycheck as of Dec 31: 1. You can go to any country, not necessarily your home. 2. You can just enter on H4. 3. No need to wait. 4. DHS may ask H1 and H4 question. Just be truthful about it. On the contrary, if you did draw any paycheck the H4 status is no longer valid. You have to file an extension. Nunc Pro Tunc seems a likely possibility in your case. Talk to your attorney. Fact: The 60-day rule reserves DHS’s right to shorten or eliminate the grace period as a matter of discretion. 1. For your best interest, you should consider 12/21/18. If the employer has mentioned 12/28/18 as your last day of authorized employment to USCIS, the USCIS reserves the right to decide which date to consider. You cannot argue that. 2. It's your personal choice. 3. Yes, you can as long as I-140 is not withdrawn by the employer. Sorry to hear. 1. Your 60-day grace period starts from the very next day of employment termination. It is NOT from the day of withdrawal approval. 2. USCIS must receive new I-129 petition within 60 days of grace period in order to keep you in the status. 3. I-94 validity on the 61st day period does not hold any ground. 4. H4 is a better option than being out of status. Transition to H4 should start approximately in the last 21 days if new I-129 petition is not an option. Good luck! Extension in premium processing is available to you. It has to be filed at Nebraska center. Vermont processing time has outrageous waiting time. 60 days OR validity of I-94 whichever is shorter. Assuming that the new employer has initiated transfers as "Extension of Stay" 1. You can enter. 2. Even though you entered the US, your extension of stay petition would be invalid. You CANNOT start with the new employer. You need to depart the US and get a new Visa with the new employer. 3. Same as 1+2 4. You can continue working with the present employer. In a nutshell, if you leave the US while the new petition is pending, it would naturally invalidate your extension of stay. You need to depart and get new visa before start working with the new employer. Period. Both petitions are mutually exclusive and do not have any influence on approval odds of one another. You can join a new employer based on receipt notice. If approved you will have a new I-94 validity date.